We’re excited to release our first course focussing on engineering. 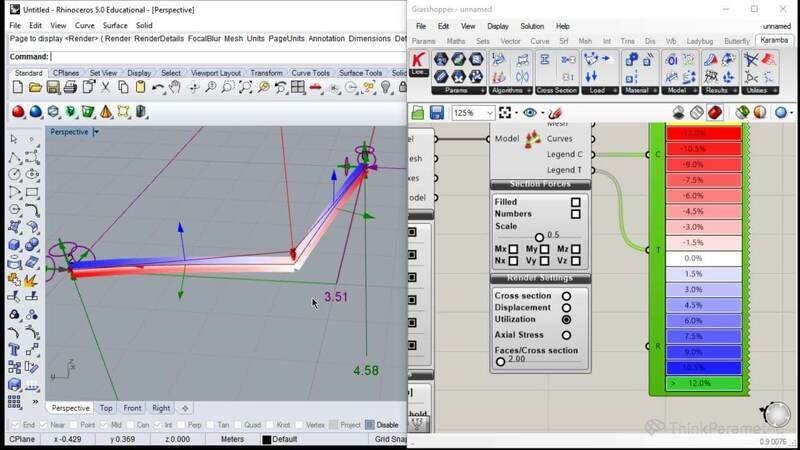 In this course, we will use Karamba, a parametric structural engineering plugin for Grasshopper. This powerful tool lets you analyze the response of 3d beams, frames and shell structures with various load scenarios quick, easy and accurate. This course is very useful for architectural engineers who want to learn how to quickly check the performance and structural integrity of their designs and learn how to optimize their design accordingly. Architectural design optimization specialist Judyta Cichocka will walk you through this Karamba 101 course. She is a co-founder of Parametric Support and co-author of Silvereye an optimization solver we will use in this course to optimize our structure. We will start by going briefly over the installation process and the different licenses that exist. For this course, the free version is sufficient, which you can download here. 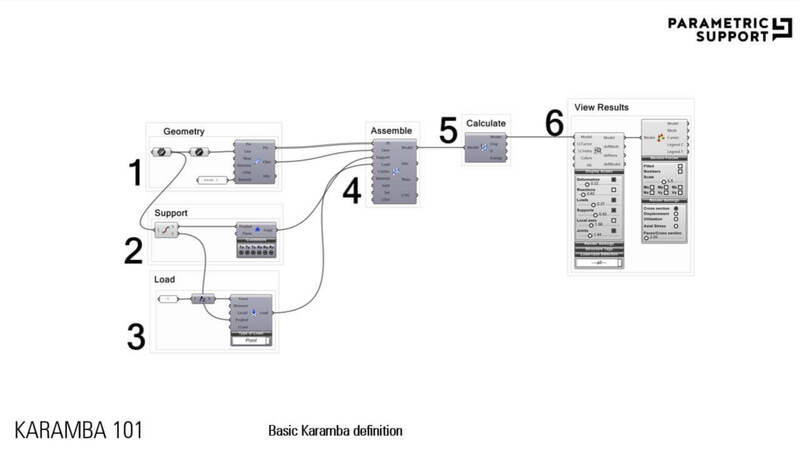 We will then go over the six basic steps needed to setup a Karamba Statical Model. This minimal setup is always required and you can use this base definition in all your future uses of Karamba. Next, we will create our first load case scenario using two simple beams and a point load. We will go over the different components of Karamba, their inputs and outputs, and what they all mean. 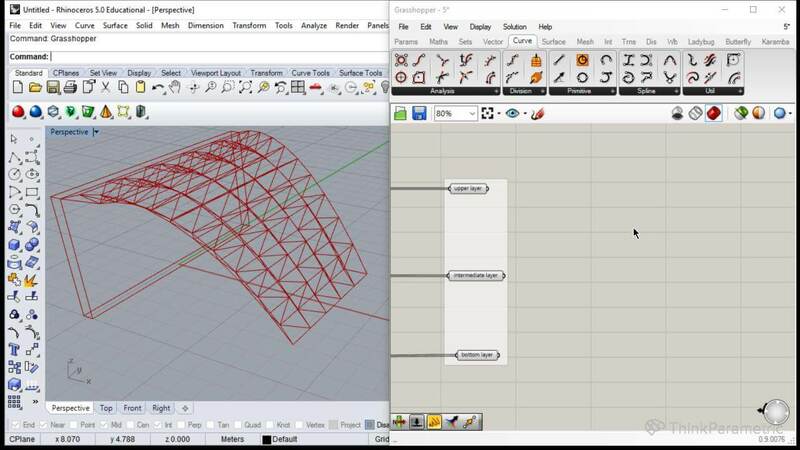 In the second part of the course, we will create a simple canopy we will use for our structural analysis. 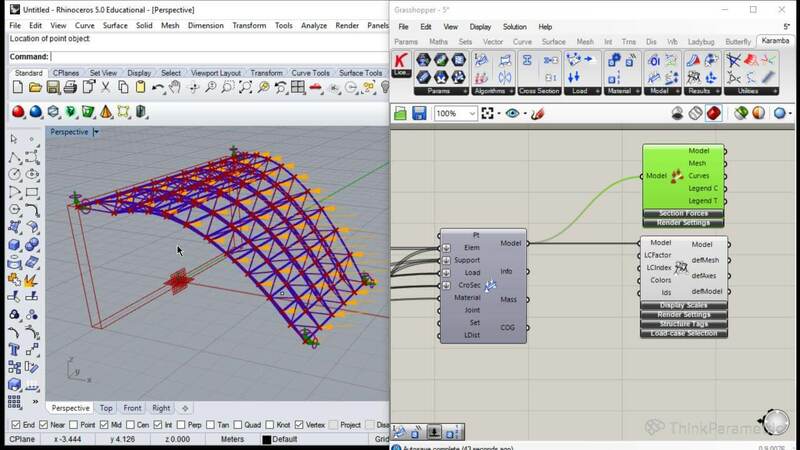 The canopy consists of a spaceframe and a cover we can control parametrically. When we’ve specified the supports, materials and load cases, we will perform a structural analysis on the structure. We will take a critical look at the results, like maximum displacement, resulting force of gravity, and internal elastic energy. We will also visualize the results to get a better understanding of how our structure behaves under our loads. The last part will consist of using Silvereye to optimize the structure. Silvereye works similar to Galapagos and is pretty straightforward to use. We’ll use the results from the previous lesson – maximum displacement, and internal elastic energy – as our fitness values to optimize.